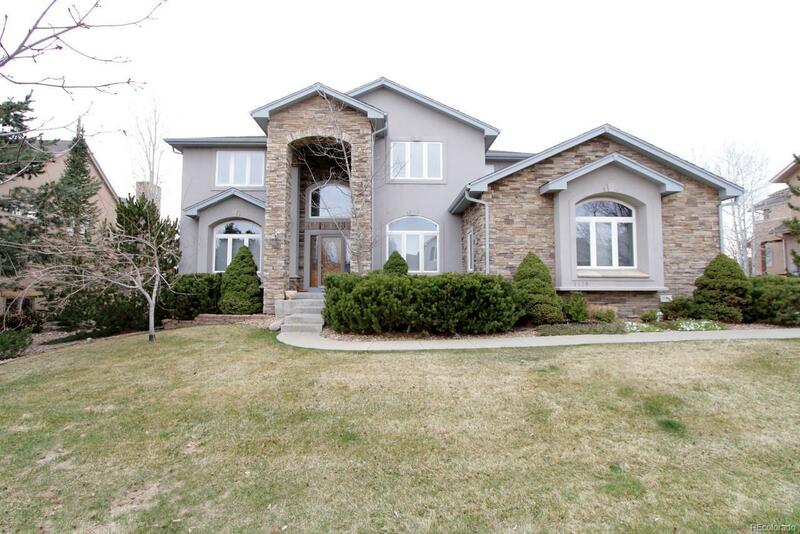 Fabulous 2-story, single-family home with unfinished basement. Your future home backs to The Eagle Trace Golf Course, and features stunning views of the Mountain Range! Grand entry leads to private Study with double French doors, semi-private Living and Dining Room, spacious Family Room with high ceiling, gas fireplace, built-in shelves, and gorgeous views. Large eat-in Kitchen with granite-slab countertops, decorative-tile backsplash, stainless-steel appliances, built-in desk, and large center island with gas range and storage. Main-floor Master with bay window facing the Mountains and Golf Course, has large walk-in closet, and private 5-piece bathroom with deep jetted tub. Upper level has Loft, and 3 bedrooms. 2 connect with a Jack-and-Jill bathroom! Unfinished basement is ready for your personal touch! Family-friendly neighborhood! 3-car garage, and covered back patio. Entertain in the back yard while you take in the stunning views! Call now to schedule your personal showing!